Sasha and Malia Obama’s style streak continues with even more cute outfits that essentially embody everything that your warm weather wardrobe wants to be. And as they leave Cuba to visit Buenos Aires, Argentina, with their parents, they once again deliver on the style inspiration. The First Family left their historic trip to Cuba for Buenos Aires, Argentina to round out the second part of their Latin American tour. 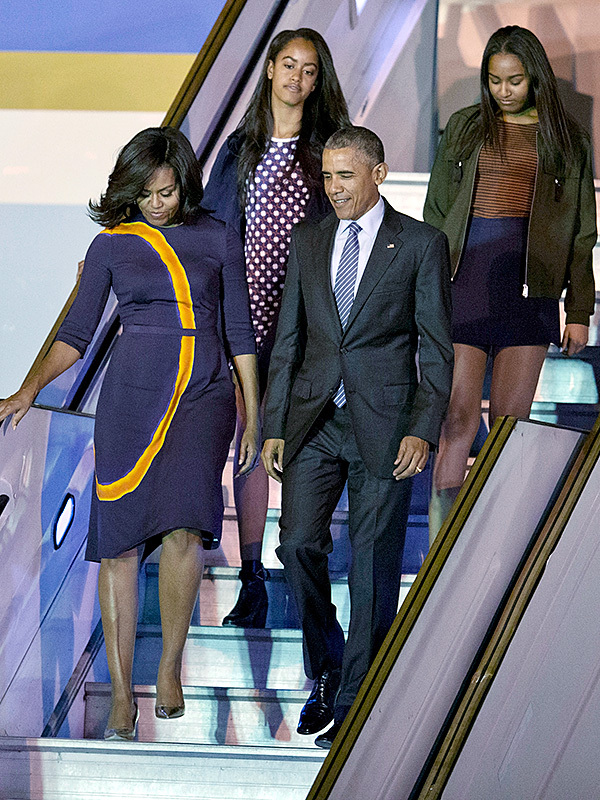 Malia, 17, wore a polka dot sheath dress with a navy coat and black ankle boots; Sasha, 14, chose a striped top tucked into high-waisted navy shorts plus a green bomber jacket, while Michelle stuck with her favorite A-line cut (the fifth of her whole trip!) in a purple Narciso Rodriguez dress with amber ring detail. During the first part of their spring break tour, the girls both wore cute (and often, affordable) dresses, circle skirts and the coolest selection of sneakers. 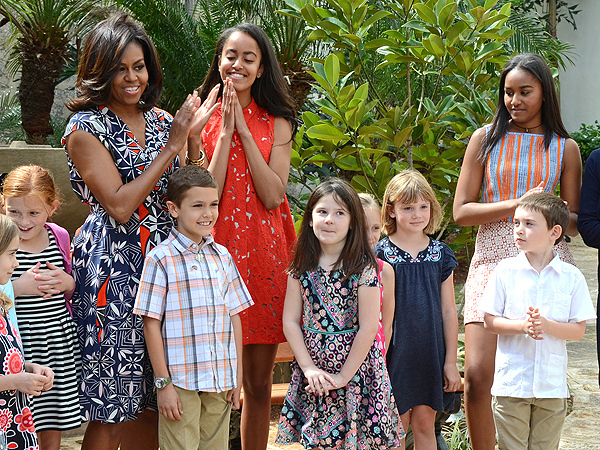 At a tree planting ceremony they attended at a public library with their mom, Malia wore a bright red sleeveless Alice +Olivia shirt dress and Sasha selected a Tory Burch skirt, striped top and tan flats. And when they arrived on Monday, Sasha chose a streamlined Shoshanna sheath dress, Malia wore a $48 floral skater dress from Asos, and both sported trendy platform kicks.